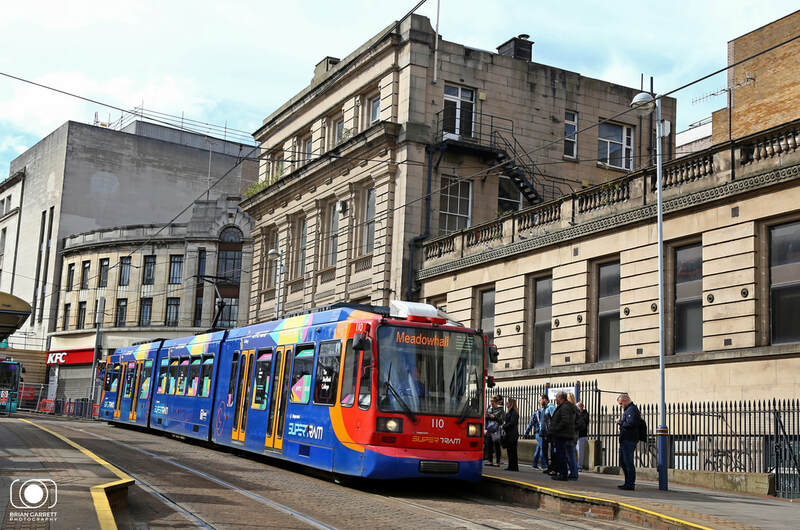 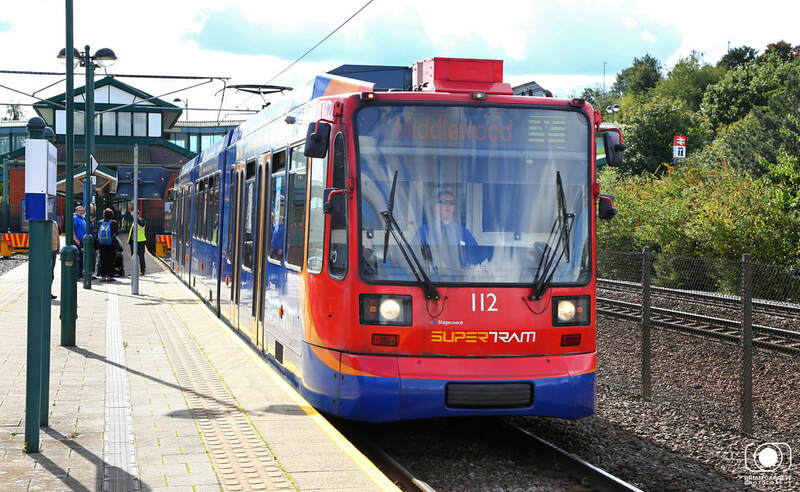 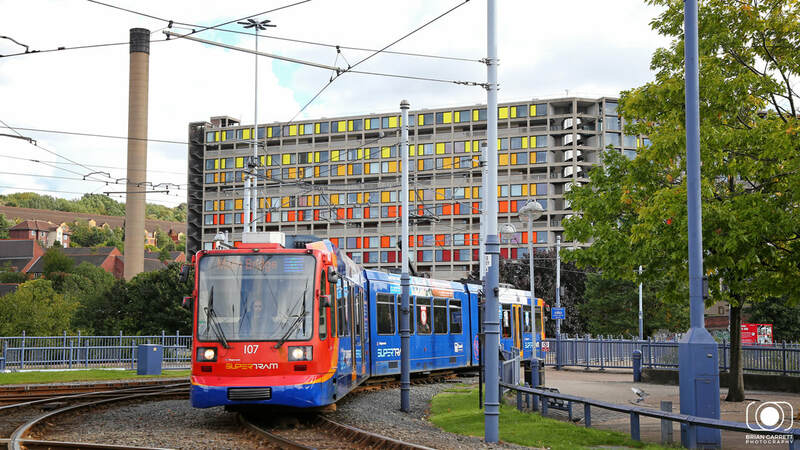 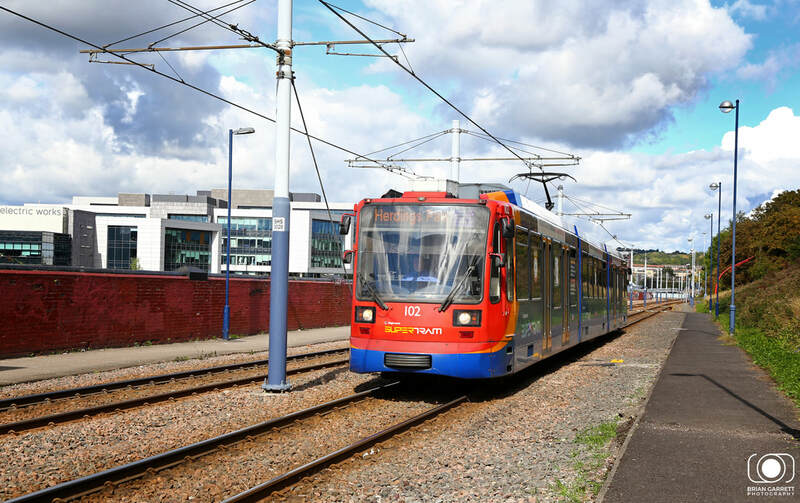 The Sheffield Supertram is one of the two original tram networks which were built in the UK. 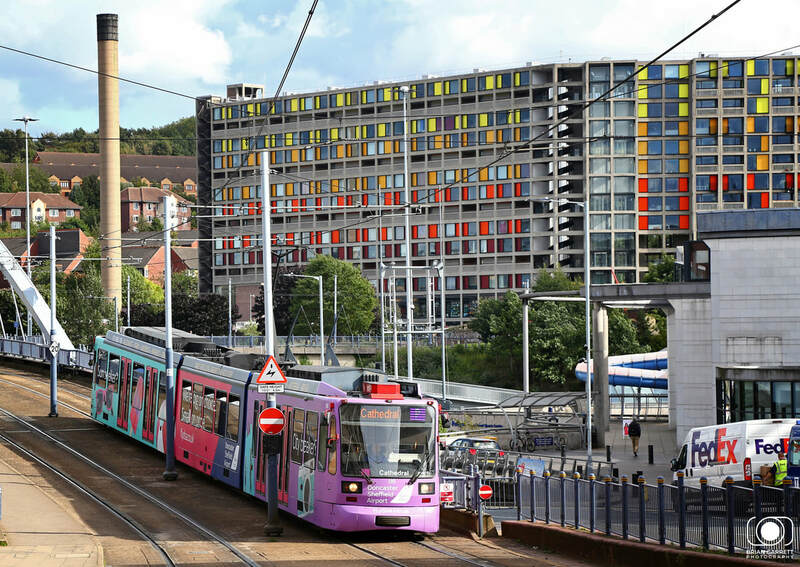 The service commenced in 1994 and currently consists of 48 stations across three colour-coded lines, the Blue, Purple and Yellow Routes. 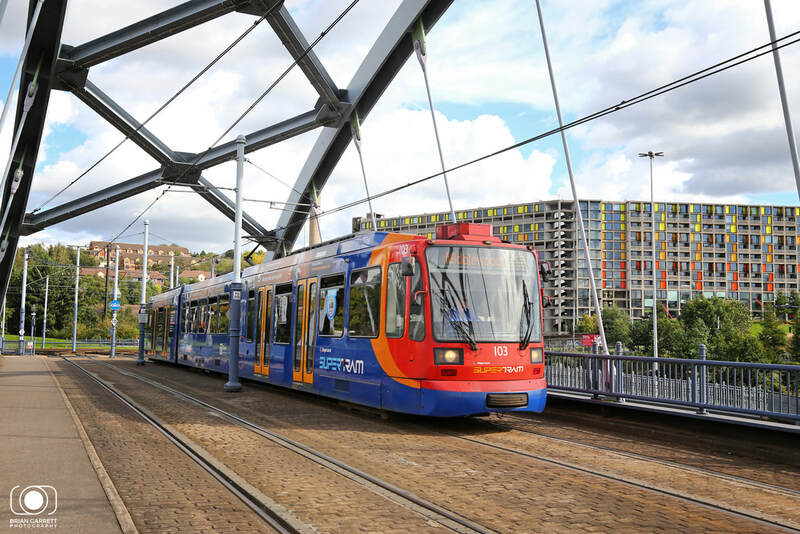 As well as connecting with local and national bus and rail services, the network serves six park and ride sites. 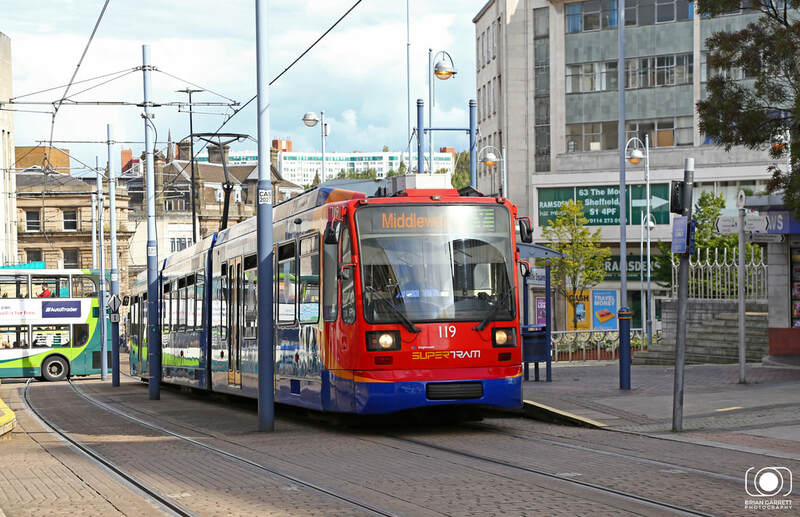 The Infrastructure is owned by South Yorkshire Passenger Transport, while the trams are maintained and operated by Stagecoach. 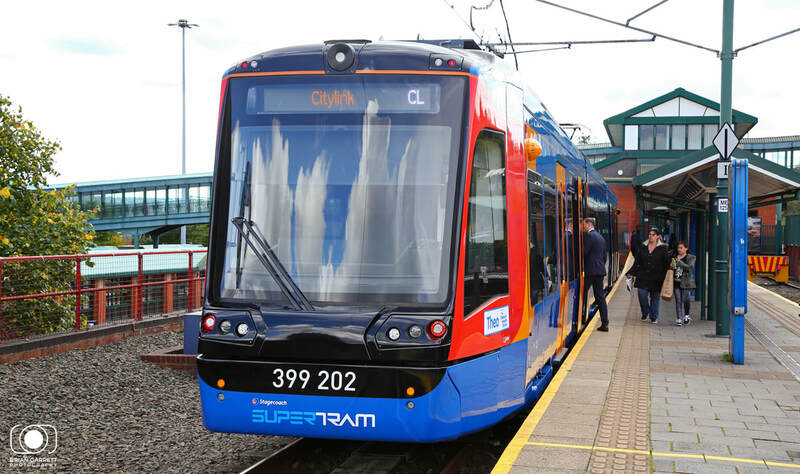 A further extension to Rotheram is being built and will be open in 2018. 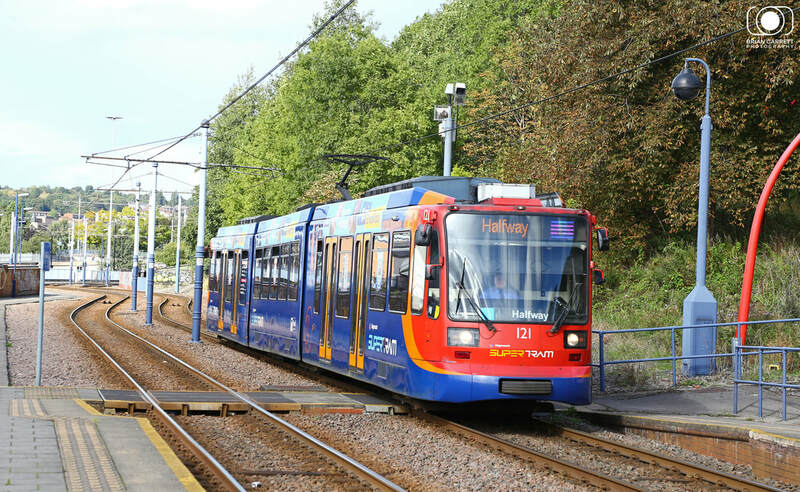 This will use new 'Tram Trains' which will run on existing Network Rail track between Sheffield and Rotheram. 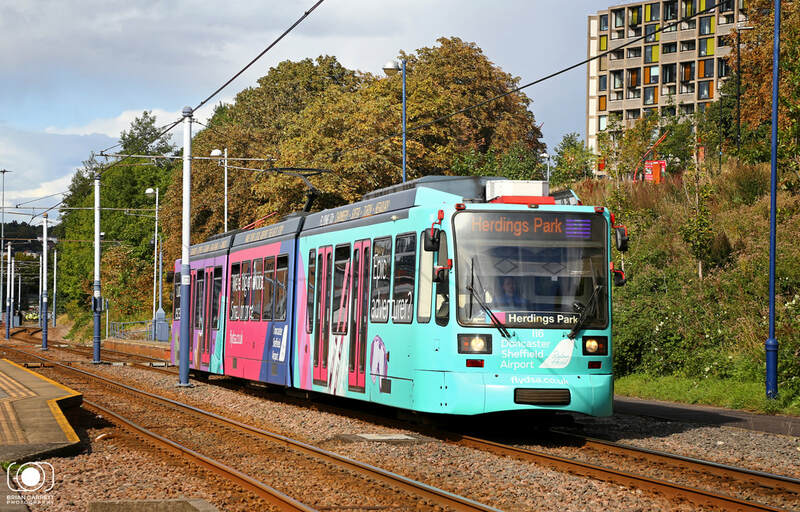 The tram fleet currently consists of 25 Siemens Duewag Supertrams, and 7 Class 399 'Tram Trains' built by Vossloh. 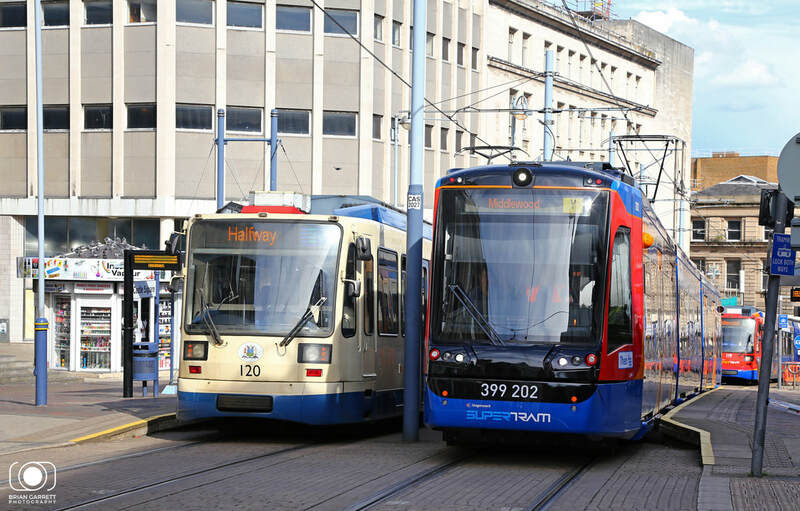 Passengers pay via a ticket inspector on each tram. 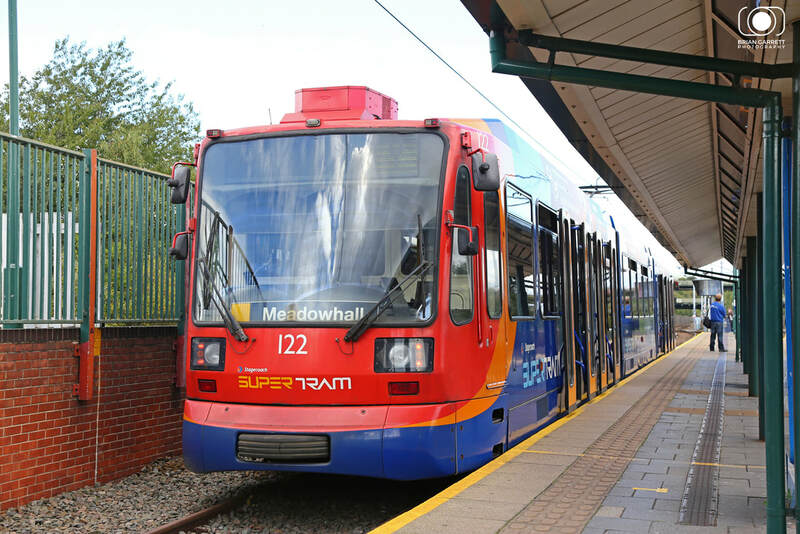 There is no tap in/ tap out system currently installed on the network. 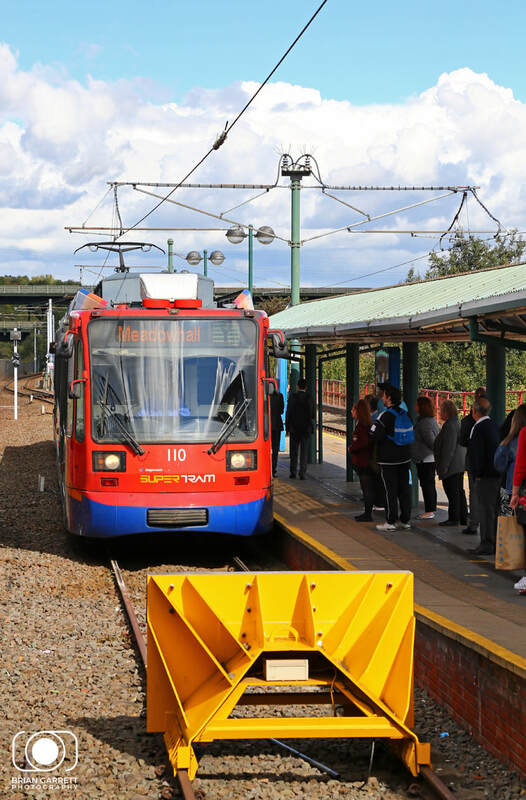 Having just been named 'Theo' at Nunnery Depot, Class 399 'Tram/Train' No.399202 arrives into Meadowhall Internchange Station on the 14th September 2017, with invities and media on board. 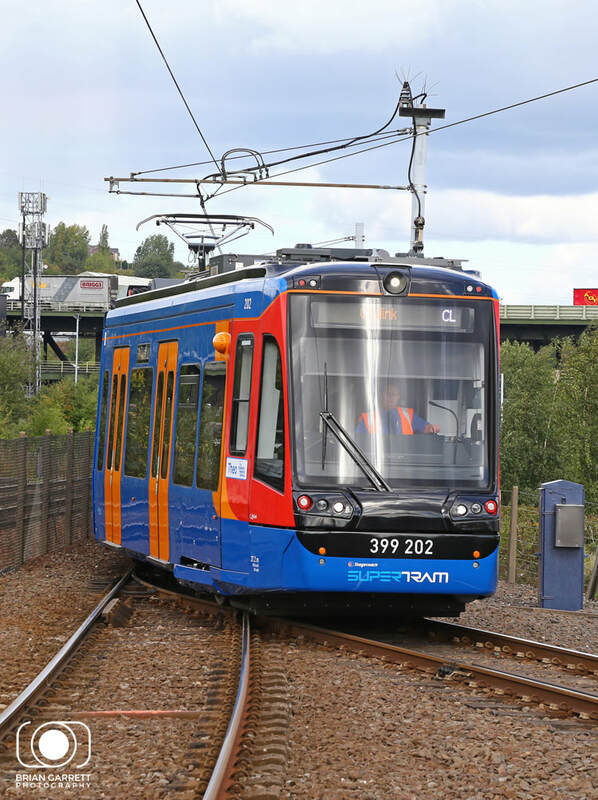 The unit was then put into public use on the Sheffield Supertram network for the rest of the day. 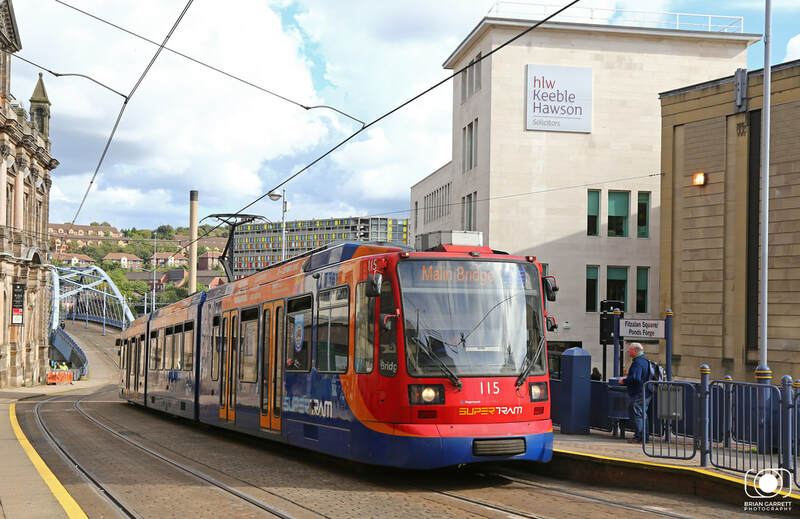 New Sheffield Tram/ Train Class 399 No.399202 is seen operating on the Sheffeild Supertram Network while passing original liveried Tram No.120 at the Castle Street stop on the 14th September 2017.